Many things have changed over the years. How we communicate, the way we work, how we work, and the way we succeed is high among the changes made in the last couple of decades. 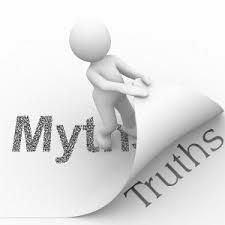 When it comes to career success, there are a lot of tired career myths that simply will not go away. It seems a bit strange that many still think this way, but if you truly want to have a chance to thrive in your legal career, there are a few myths you should actively defy. While it is true that working harder than others can get you ahead in your career, working smarter is even better. One of the first career myths that you defy should be the last to leave the office is absurd. Instead of always being the last to leave the office, consider being the first to meet your deadlines and the best at coming up with efficient systems that allow you to get more done in less time. You should also make a habit of getting the rest you need to be productive at work as well as the downtime needed to not resent it. Goals are important. However, remaining focused on goals that no longer suit your vision is counterproductive. Every lawyer should take the time each year to reassess what it is that they really want in their career and determine if their current goals are aligned with that vision. When your vision changes your goals should change too. It is also important to remember, that road to “success” can wind and certainly differ from your peers. Do what is best for you! Do not confuse management with leadership. Many lawyers are on the partner track because that’s what they believe they should do. Leadership and management differ, and both are/can be satisfying, but it is not for everyone. It is up to you to decide if you’re the type of person who wants to be a manager/partner or if you want to play a critical role in someone else’s team – the leader, got-to guy without being in charge and responsible for everything. There is no shame in deciding that your career goal is to become a supporting player for a great team. Do not allow career myths to sidetrack you or dictate what your goals should be. Every attorney’s career will look differently according to individual goals, abilities, and desires. Not every manager is a leader, not every leader is a manager or partner. It is up to you, and only you to decide who you want to be. Subscribe to the Leopard Blog for discussions on career goals, diversity, law firm insights, and other relevant topics.